The Mercedes-Benz SLS AMG (C197 / R197) is a front mid-engine, 2-seater luxury, limited production supercar automobile developed by Mercedes-AMG of German automaker Mercedes-Benz and was the first Mercedes-Benz automobile designed in-house by AMG. The car, which has gull-wing doors, was the successor to the Mercedes-Benz SLR McLaren and was described by Mercedes-Benz as a spiritual successor to the Mercedes-Benz 300SL Gullwing. 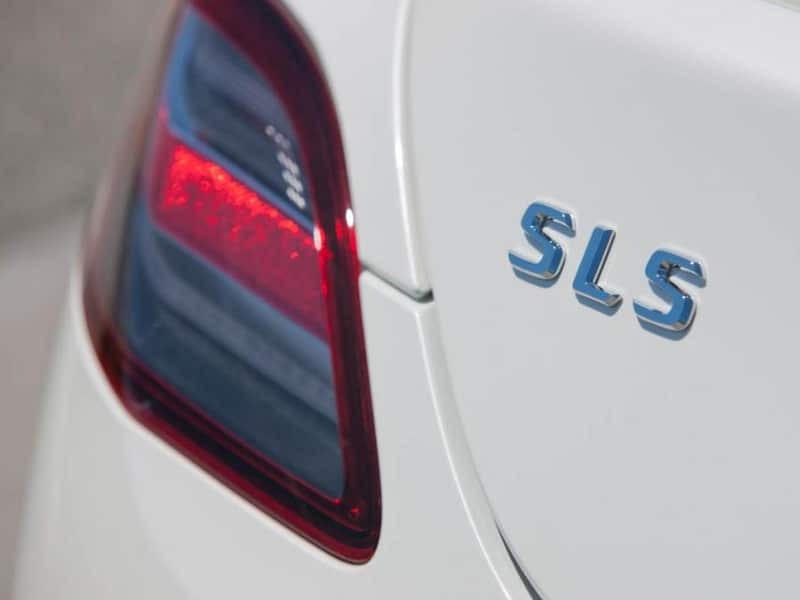 SLS stands for “Sport Leicht Super” (Sport Light Super). The Mercedes-Benz SLS AMG was assembled largely by hand, with its chassis and aluminum body shell produced by Magna Steyr in Graz, Austria and then transferred to Sindelfingen, Germany for assembly, with its engine being hand built by AMG in Affalterbach, Germany. It was the first Mercedes-Benz designed and built from scratch entirely by AMG. Upon its introduction the SLS AMG’s 571 PS (420 kW; 563 hp) M159 engine was according to AMG “the world’s most powerful naturally aspirated production series engine” ever produced. In fact, the 6.2 liter engine (the engine was based on the M156 block) was modified to such an extent that AMG gave it a separate engine code—M159—to signify the more than 120 different parts used in the SLS engine (as well as the addition of a dry-sump lubrication system to handle the car’s high cornering speeds and racing capabilities). The vehicle was unveiled at the 2009 Frankfurt Motor Show, and sales commenced in mid-2010 in Europe and in mid-2011 in the United States. 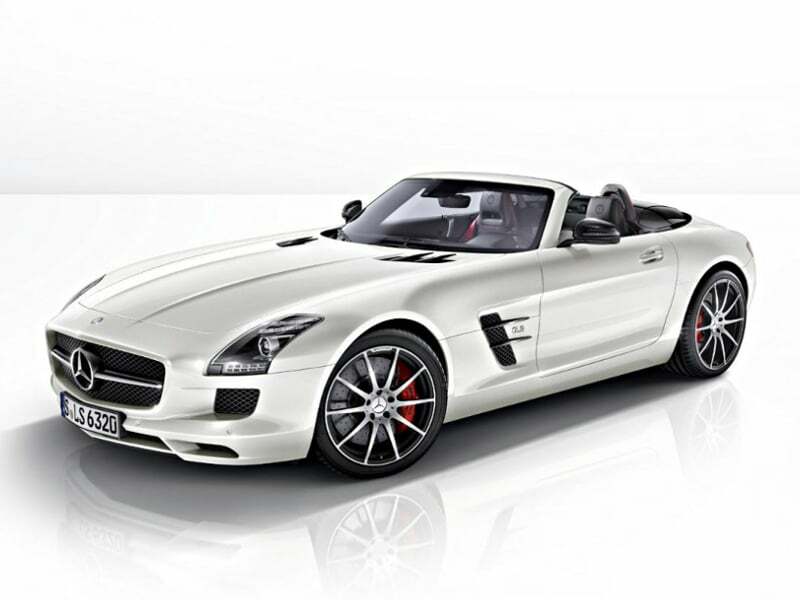 Mercedes presented an electric version of the car, the SLS AMG Electric Drive, at the 2012 Paris Motor Show. 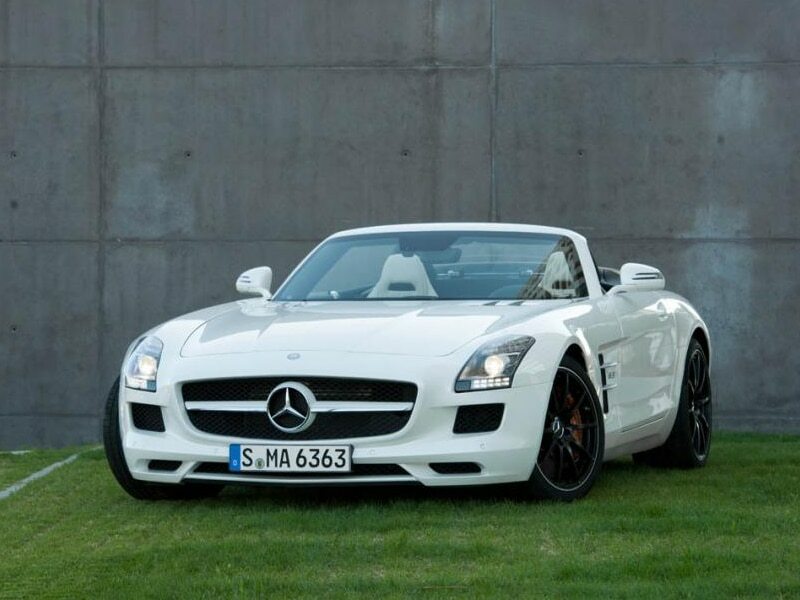 Production ended with the SLS AMG GT FINAL EDITION in early 2014. Compared with its predecessor (the Mercedes-McLaren SLR), the SLS is, per Mercedes-AMG head Tobias Moers, the faster car on the track, both in the hands of normal drivers as well as race drivers. This may be attributable in part to the SLS’s lightweight aluminum frame—the company’s first ever use of an aluminum chassis and body frame. The Mercedes SL65 AMG Black Series, by way of example, with its use of carbon and other light weight materials, had a curb weight of over two tons, at 4,350 pounds. Even the Mercedes-McLaren SLR supercar, with its emphasis on light weight, came in at 3,860 pounds. 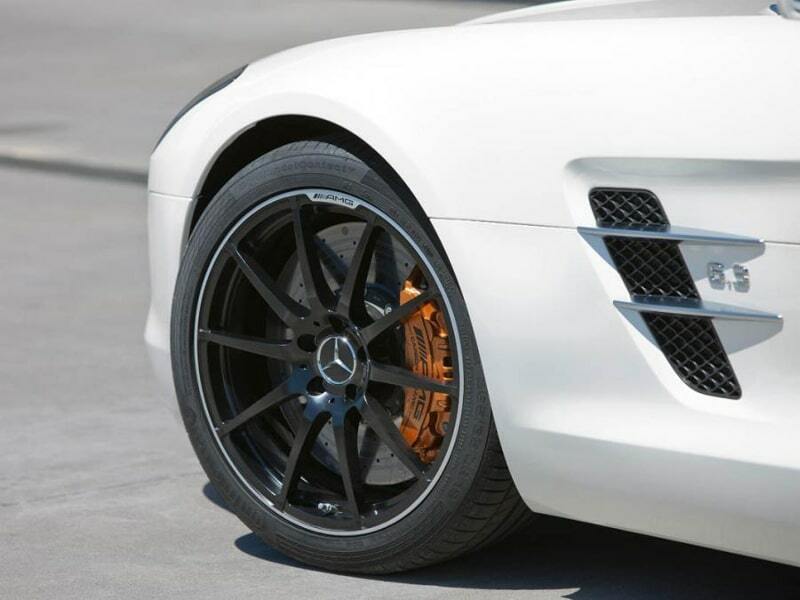 The SLS, however, has a curb weight of just 3,573 pounds, and that’s with its standard wheels—it had a (very expensive) ceramic-composite brake option that reduced the unsprung weight of the wheels by 40%. The SLS also came with a carbon-fiber shaft for its dual clutch transmission. 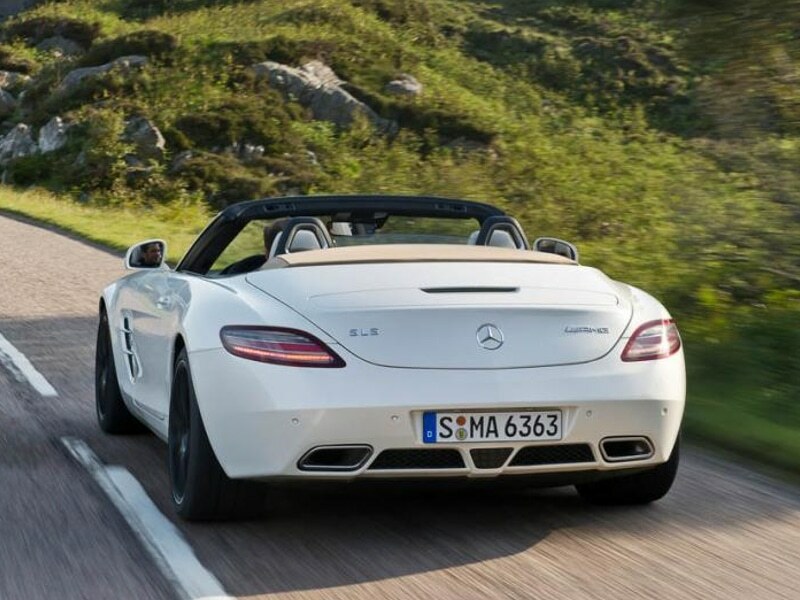 Perhaps for these reasons, the SLS AMG achieves a lateral acceleration of 0.99. This bests even the Mercedes-McLaren SLR, which achieves a 0.97 figure.